I took a spontaneous trip out of town for the weekend of the 4th--about a 7 hour drive from home, 3 day trip. Literally just threw some clothes in my new EDC pack and hopped in the car--about 2 minutes of packing time. I've used a shoulder bag as a general purpose/EDC bag for about the past 6 years, but recently had the hankering to move to a backpack. Shoulder bags are handy and all, but don't work for much more than about 10 lbs. I'm starting a Masters program in the fall and will be hauling around a full sized laptop, books, etc. and knew a shoulder bag wasn't going to cut it. Also, I was looking for something that I could do 2-3 day trips with. A backpack was a must-have. After a search, I settled on the Camelbak Urban Assault. For whatever reason, this pack is seeing a limited release and is fairly hard to track down. Not available on Amazon. Botach has 'em for low prices, but I've never ordered from Botach and have heard some less-than-stellar things about 'em. This is a really well made pack, with the sturdy, overbuilt construction that people have come to expect from Camelbak's Military/LEO line. Good, comfortably padded shoulder straps. Tons of internal organization and space. Easy to tote a full size laptop around with, plus 2-3 days worth of clothes, plus EDC/office/school kit, plus water bottles, plus more. Camelbak hit this design out of the park; wicked awesome EDC pack. 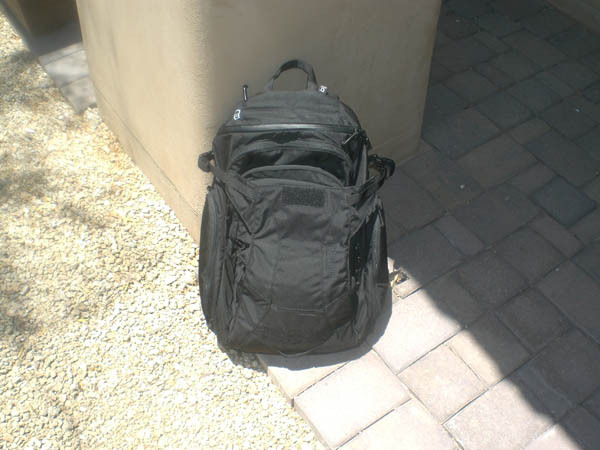 Aside from being bombproof, well thought out and spacious, it's also a very nondescript looking pack; the black color flies under the radar and blends in. This bag is a pleasure to travel with; access to everything is quick and easy--not a lot of digging around. There was plenty of room to spare in the main compartment and the entire overflow pouch. I ended up using the overflow pouch for dirty clothes; handy for keeping them separated from the cleans. I ended up using plenty of the kit; was visiting relatives who, well, we'll just say they're are pretty highly "unprepared"-- as in I was giving them the ibuprofen out of my pack, needing my own shampoo, etc. The TekCharge came in handy--the cigarette lighter on my car stopped working, and I used it to recharge a dying cell phone and GPS. Cliff bars were eaten and flashlights were used to navigate around a cluttered room and during fireworks viewing on the 4th. So far, I'm loving the Urban Assault. Great bag, highly recommended. Can't find the camera at the moment, but will edit this post with pics as soon as I can. 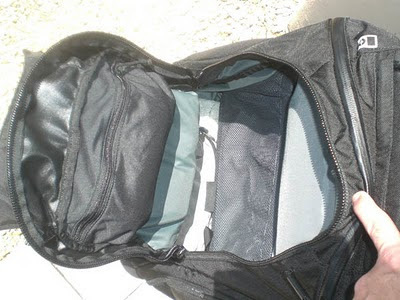 In the meantime, Milspec Monkey has a review and comprehensive pics of the bag. Note that my bag came with a 2 liter military-style Camelbak bladder instead of a water bottle. NOTE: Now with a few pics! Sorry about the quality; my 'good' camera is traveling the world. That and it's really bright out today. Here's the main pack. Pretty nondescript looking. 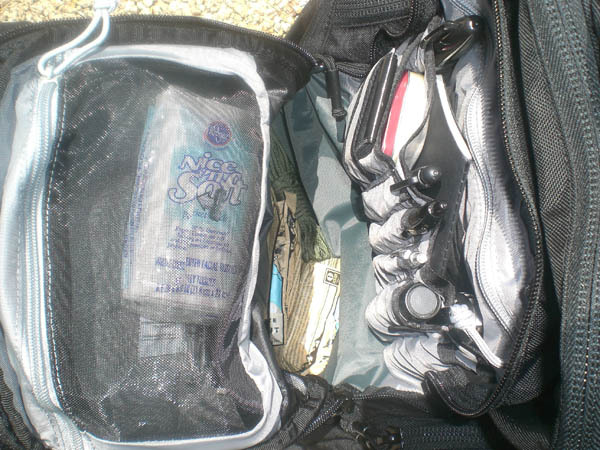 This is the main organization pocket, filled with EDC stuff. The pocket is quite deep--there are 4 Cliff bars and a hank of paracord riding on the bottom. Plenty of space still. My electronics kit usually rides on top of that. Also visible - AA LED Flashlight, Moleskin cahier notebook, gorilla tape card and Altoids kit. 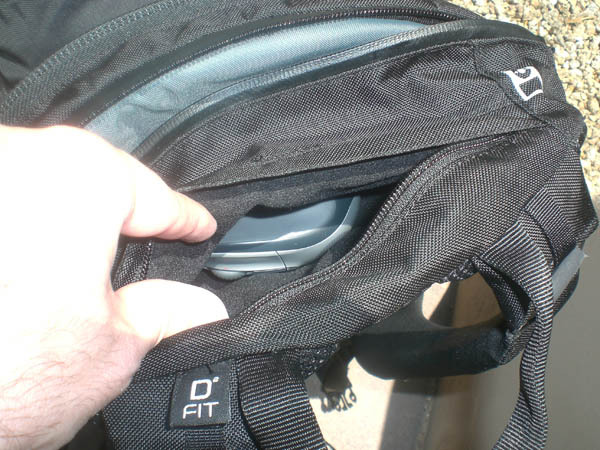 Here's the main compartment of the pack; my Oakley sunglasses case fit perfectly in the black zipper pocket. 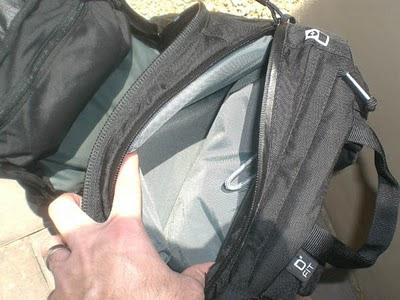 My toiletry/snivvel kit rides on the bottom of this pocket, alongside a spare pair of socks. Mesh sleeve along the back of the compartment is handy for papers and magazines. Main laptop sleeve. This is well padded. Also doubles as the hydration sleeve. And a padded electronics/MP3 player is the upper most pocket. That's a small portable mouse riding in the pocket.